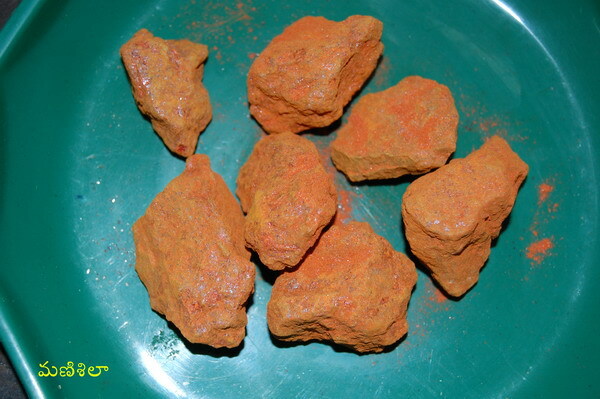 Identification: -- This is a mineral product and it found largely in Nepal. It is of three varieties (1) red white and black mixed and heavy,(2) like copper or white and bright and light, (3) red in colour heavy and a powder. 3 Preparation: --- Kantha vallabha Rasa, Swasa Kutaram, Shodhita Manasila.